This article covers three efficient technologies of construction operations, implementation of which would improve technological processes of building construction and reconstruction. 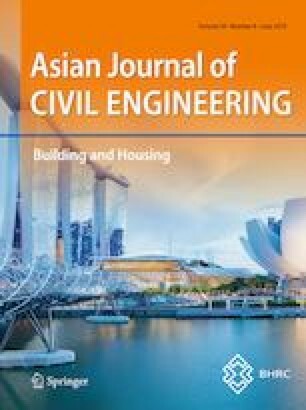 Dealing with reconstruction and repair of enclosing structures in industrial buildings in very confined space due to the current production process, authors apply technology of craneless wall panels installation and dismounting of structures using existing funnel as a supporting element. While carrying out concrete works, the authors suggest using mixing technology on preliminarily processed water batched by electric field of soluble electrodes to improve physical and technological properties of concrete mixtures. For construction and reconstruction of residential buildings with sloping roofs, replacement or repair of metal roof, the authors propose to use sloping roof construction, heat-insulated with thermo panels, fastened to trusses by means of dowel system.